As always, let’s start with a few honorable mentions. Granted, Avengers Endgame will always be known as THE Marvel movie event of 2019, Disney also had a lot running on a successful debut for Captain Marvel, their superheroine earmarked to lead their Marvel Cinematic Universe into the next phase. 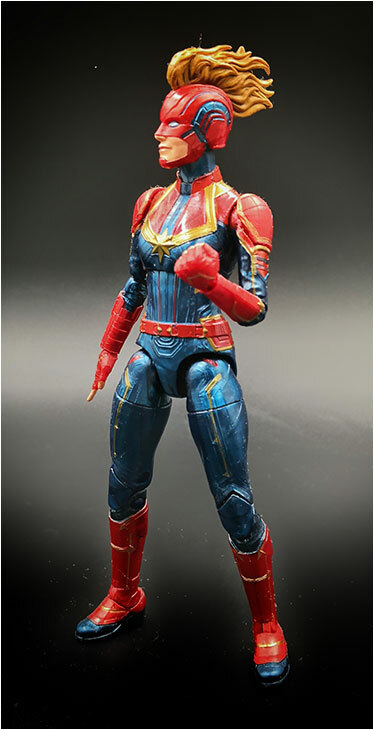 As a result, it comes to no surprise that they seemed to pull off all the stops at creating the definitive Marvel Legend figure of Carol Danvers. Her costume design isn’t really all that groundbreaking or that difficult to translate into plastic. So thankfully, Hasbro didn’t botch things up. We got a pretty perfect toy rendition of the Captain. That subtle little smirk on her masked head is just icing on the cake. OK I get it...it’s really just another Black Panther figure. 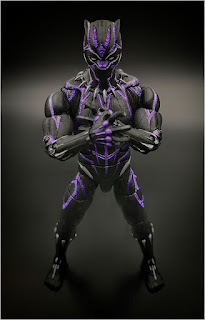 But I really like the purple vibranium charge details. It’s a welcome break from all the black and really adds more uniqueness to his overall look. 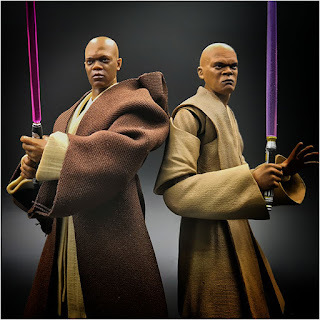 I already have the SH Figuarts version of Mace Windu and I was perfectly happy with that one. I initially only got this guy because I got his entire wave and had plans to just sell him off if he failed to impress. Well...color me impressed. 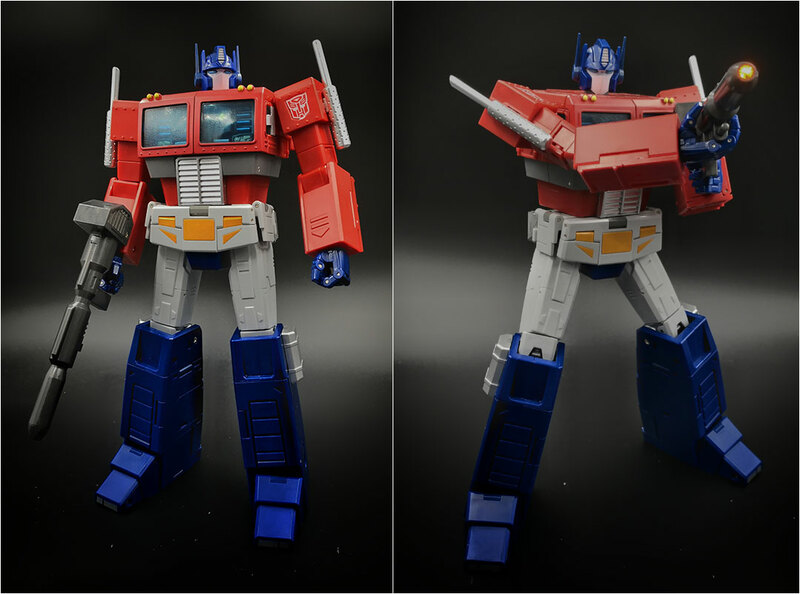 At this point, Hasbro’s face printing technology is definitely at par with (or possibly better than) SH Figuarts. Upon closer inspection I actually like Hasbro’s more calm and serious face as opposed to the Figuarts’ one which is sort of contorted a little more in anger. While I would never sell my SH Figuarts one….it looks like I’ll just have to have two Windus on my shelf. 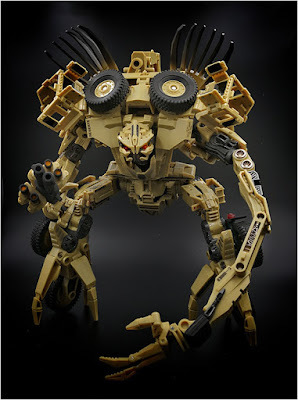 When the first wave of Transformers Siege was released, this guy was the most hyped (or overhyped?) one of the bunch. So much so that while I was still on the fence in starting on another new line, I did decide to give this guys a shot since I’d never heard so much great stuff said about a single toy in quite some time. Fortunately, all the praise this toy got was very much deserved. 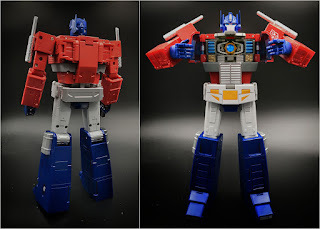 As far as a “chug” Prime goes, this is probably the best version you’ll ever find. And now with that out of the way...lets get on with it. 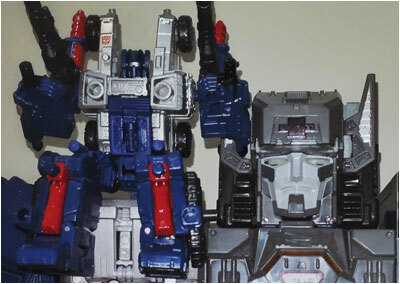 In whatever media he is featured in, the Decepticon Six Shot has always been portrayed as a very dangerous and accomplished warrior. Despite all that, I never really had any strong connection to the character. Still, I was looking forward to adding a proper “masterpiece” version of him for my collection. 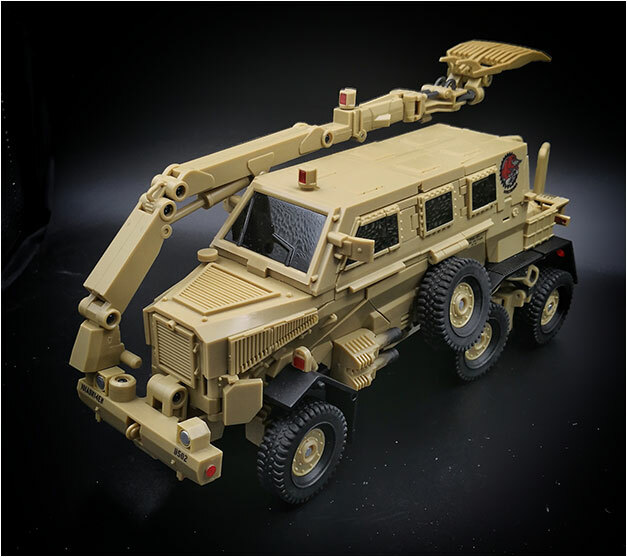 As usual, Fans Toys Hydra is a well done quality piece. 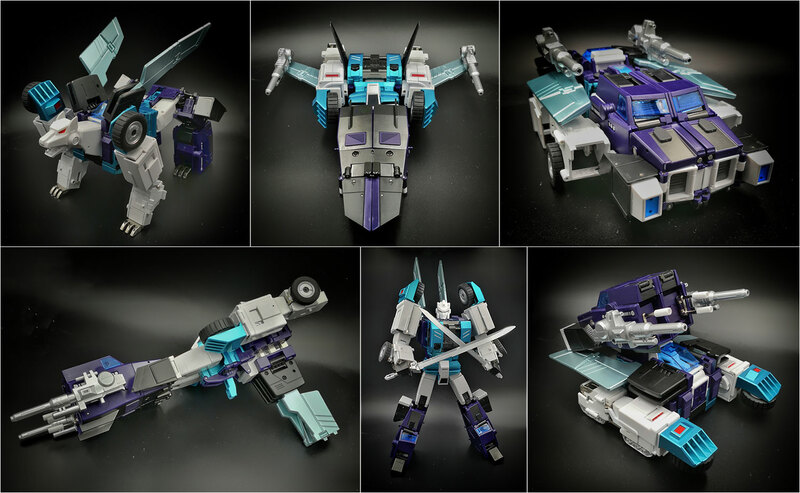 Unfortunately, his overthought engineering (something Fans Toys is also known for) takes out a bit of the fun when transforming between his six different modes. Although I’m still on the fence for the entire Siege line, this was one guy I was sure to get from day one. I just needed the guy for my Titans Return Fort Max….you know, being the completist that I am. Initially it was all about checking a box in my collection. It wasn’t until I actually sat down to mess around with him that I realized just how much fun this guy actually was. I know he was meant to accessorize all the various Siege Transformers, but if you got him *just* for Fort Max like I did, he will still not disappoint. Aside from being just a little buddy for Max to just hang out with, he can be a shoulder cannon, a hand gun, a utility vehicle...the options are quite endless. The concept of Cog is so basic, it really is a wonder that Hasbro only thought about it now. Like many, I didn’t think the Solo movie was that great. I mean it was entertaining and all but I felt it was just not all that necessary in the grander scheme of Star Wars things. But one thing I did like about the movie was all the unique costume designs of all the various characters. 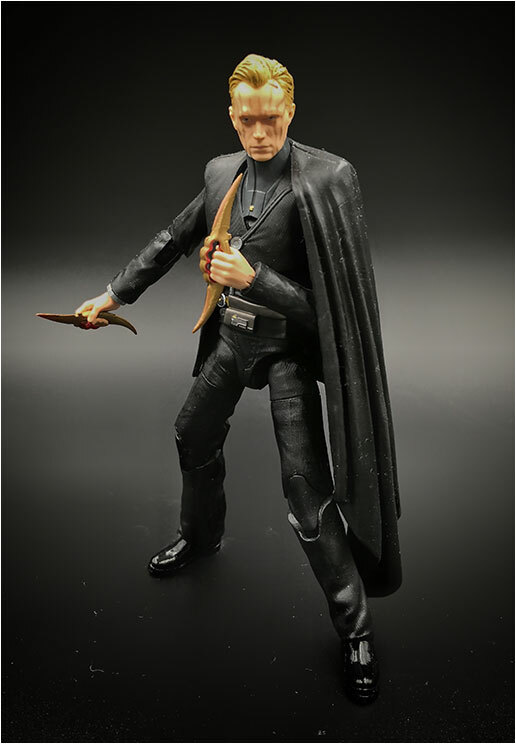 I especially loved how capes were worn by Lando, Qi'ra and of course the main bad guy Dryden Vos. It's a simple touch that arguably leads to hindered articulation for the toy but it just makes the characters stand out more on the shelf. As far as villains go, Dryden Vos may not have been very original (prim, sophisticated and proper….until he snaps in a vicious rage) or ground breaking...but I still liked him, especially his look and choice of weaponry. And this figure captures all of that. 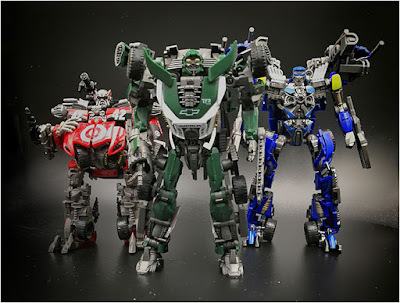 I have always thought that the Bayformers version of the “Wreckers” were pretty cool. 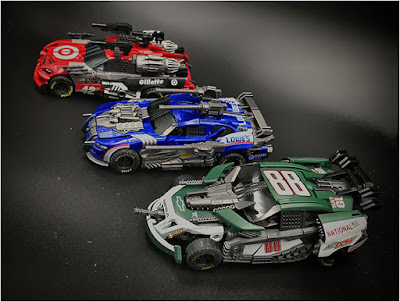 They were three tough battle tested Autobots who transformed into rally cars with a 3rd “Mad-max-esque” battle mode. Unfortunately Hasbro dropped the ball when it came to making toys of these guys. 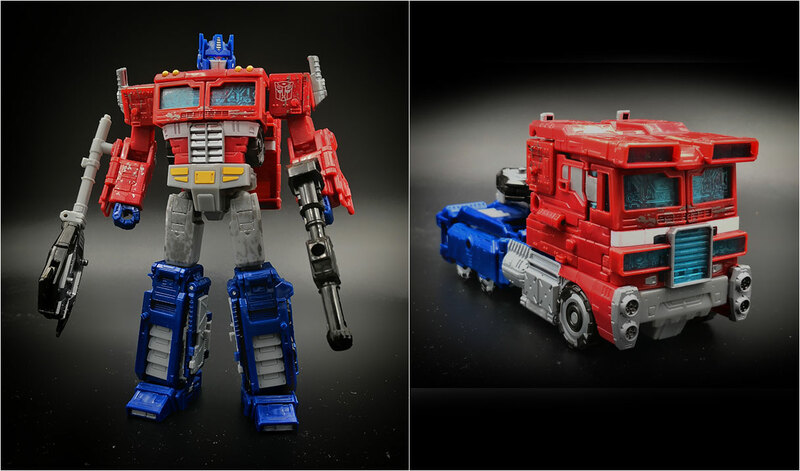 They either rarely completed the trio across the given toy size classes, or if they did, they never transformed into a unified look (clean or battle mode). 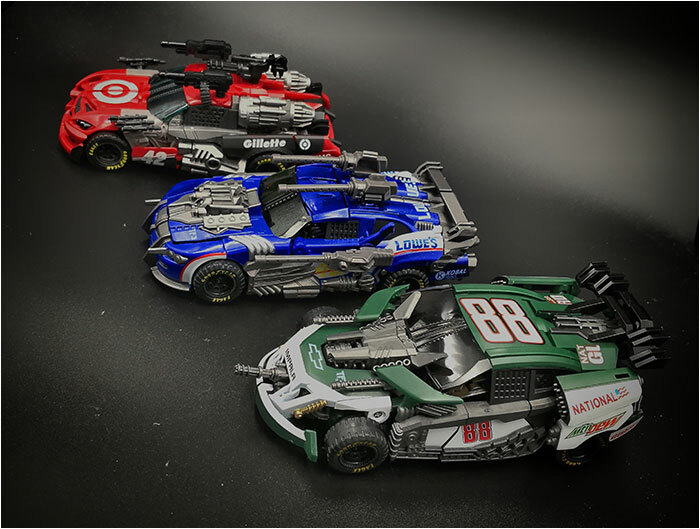 In the Deluxe scale that I collected, They had the green one, Roadbuster transform into a clean rally car, while his 2 mates, Topspin(blue) and Leadfoot(red) transformed into their battle modes. To make matters worse, Deluxe Leadfoot was ridiculously rare that I never even got one. Thankfully, 3rd party company Dream Factory came to the rescue by not only doing an improved Topspin and Leadfoot, but also releasing a heavily modified Roadbuster that transformed into his battle mode! It seemed like it took forever for all three to be released but they eventually did. Finally having all three battle ready Wreckers in my possession is definitely an early highlight of the year! 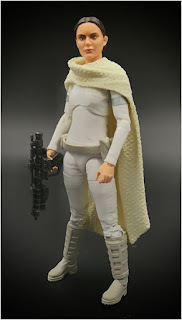 Much Like Mace Windu, I also hesitated with this figure since I already have the Padme Amidala released by SH Figuarts. Fortunately though, the Black Series version brings some new things into the mix. This is the “pre-arena” version of Padme, complete with a cape/shawl and a pristine white body suit that has not yet been torn to shreds by a hungry nexu. While these distinct differences were enough to convince me to keep both Padmes on my shelf, this one gets special recognition for being the first Black Series figure that I actually think is better than the SH Figuarts version. 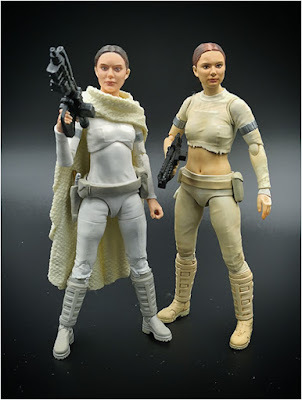 Looking closer, for me, Hasbro’s Padme has a more accurate face sculpt and better digital face printing. Add to that a sturdier figure (admittedly with slightly less articulation) and you’ve got a real definite winner. I get it, he’s a bald guy in a suit in a wheel...sorry hover chair, nothing too exciting about that. But without the guy there would BE no X-Men period. And for that reason alone, Professor X is simply a MUST in any true X-Men collection. Hasbro definitely didn’t cut any corners when it came to updating this iconic X-Man. 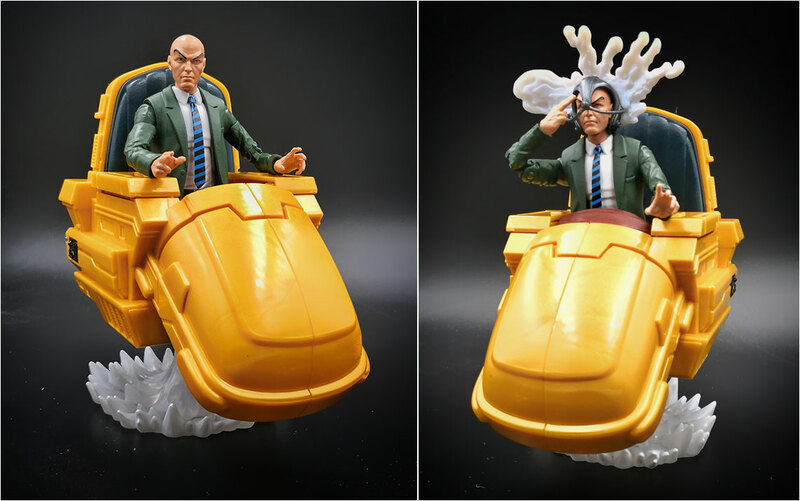 He comes with his Cerebro helmet and a rather cool hoverchair with sliding arm panels revealing more hidden detail. It was fun putting everything together and even more satisfying seeing him front and center amongst all my merry mutants. It’s been over 10 years since the first live action Transformers movie and to this day, the scene where the Decepticon Bonecrusher skates down the expressway and slices through a bus remains one of the most iconic scenes in the entire movie franchise. True he was easily dispatched only a few minutes later but still, that scene alone made him one of the most memorable characters in that movie. Which makes the fact that all he got was a sorely undersized deluxe toy even more frustrating. It took quite some time, but 3rd party company Dream Factory finally remedied that by giving us a properly sized leader class/masterpiece Bonecrusher. 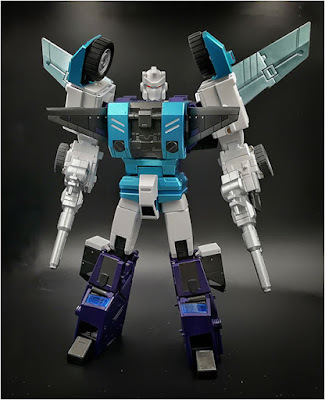 “Steelclaw” is quite an impressive and completely original toy from a company that was making a name for themselves for just improving on pre existing Hasbro toys (like the Wrecker Roadbuster). The build and materials used are solid. And although the transformation may *seem* a little complicated, it really is not once you get used to it. Even if you’re not a big fan the “Bayformers” look in general, it’s hard to deny that Steelclaw is a really well done and imposing looking toy. One of the most common criticisms amongst MCU films is that most of the villains in them are portrayed as boring one dimensional characters with no relatable motivations for their devious acts. Eric Killmonger from the Black Panther, played by Michael B. Jordan is definitely not one of those paint by numbers bad guys. He has believable and somewhat relatable reasons for his actions in the movie making him one of the most memorable and popular antagonists in the MCU. 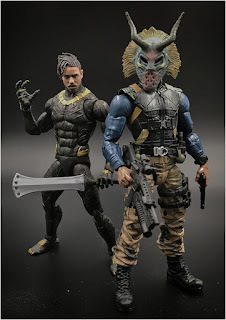 Unfortunately, Hasbro kinda short-changed us with their initial Killmonger release going for his third act look which was basically another Black Panther figure with gold trim. They couldn’t even be bothered to throw in an extra unmasked head. Soon after that they released the exact same figure with the much wanted extra unmasked head in a 2 pack with Everett Ross...which kinda sucked for all those who got the first figure like me. This year, Hasbro finally did the right thing by releasing the Killmonger figure I really wanted. This time, the figure is based on his more visually interesting and unique looking mercenary combat gear he wore in the first act of the movie. Aside from the much needed unmasked head, they also threw in the Wakandan tribal mask that he wore as well. When I first saw preview product shots of this guy all I could think of was WTF was up with Hasbro. Instead of the typical Shockwave we were used to, they gave us a four armed monstrosity with a huge backpack, double barrel cannon feet and shoulders that looked like additional legs. Initially it kinda seemed like overkill, but the more I thought about it kinda made more sense. Shockwave has many times been portrayed as a sort of mad scientist, constantly experimenting on his fellow Transformers and pushing the limits of their physiology. So in order to be a more effective combatant, it would only be...logical for him to add all those “upgrades” to himself. Regardless though, if you don’t buy into this explanation, all those extra parts are ultimately removable, leaving you with a perfectly proportioned classic Shockwave toy. And instead of just placing all those extra parts off to the side, they can be combined into a sky sled for Shockwave to ride on or enhance his Cybertronian alt mode. The customized play and display factor of the Siege line has quite a lot of fun potential, making it one of the best Transformers lines Hasbro has ever produced. 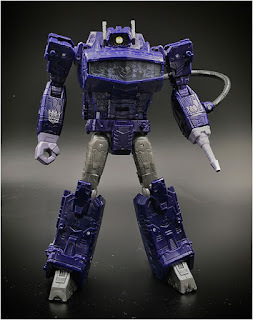 And in my opinion, Shockwave is the best of the bunch to date. I’ve already sung my praises of this figure in a previous post. In a nutshell, I will just say that this is THE Prime that I never thought I needed. I was quite happy with my MP-10 to begin with. When I first saw preview pics of this figure I honestly didn’t even give him a second look...he made zero impression on me. But as time passed, little by little, the more pictures and videos I saw of this guy, he slowly won me over. And now that I have him I can’t get over just how...perfect this guy is. 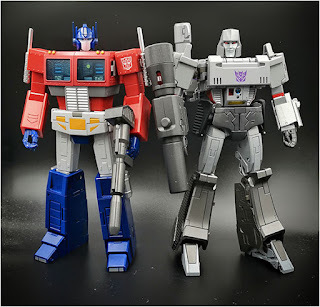 I get that there is a clean line between collectors who prefer a toon or toy aesthetic to their Transformers. If you want a Prime to match Takara’s MP Megatron V2, then their MP-10 will definitely not cut it. Which is why I decided to take a chance with Transform Element’s Prime which is slavishly based on his cleaner cartoon appearance. Aside from his perfect look, his transformation is quite amazing as well. I mean there are only so many ways you can transform a robot into a truck, yet TE-01 does introduce some new twists and turns in its transformation that make it quite unique, fun and satisfying to transform. 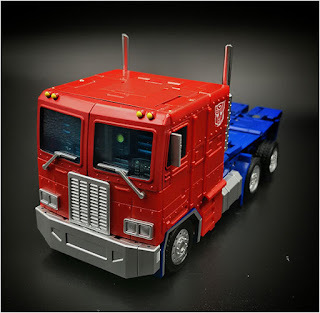 And speaking of his alt mode, this has got to be the cleanest looking masterpiece truck mode ever. 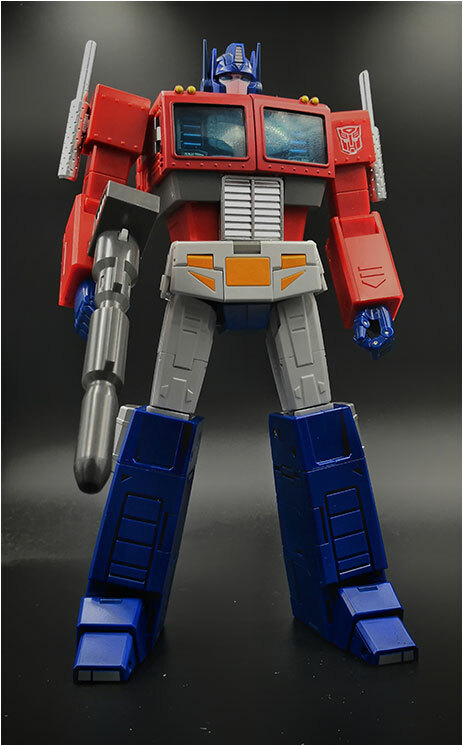 I know that Takara will be releasing their third version of a MP Prime later this year that will also be more cartoon accurate. But while it does look impressive, I think TE-01 looks even cleaner from all angles and modes. More importantly though, TE-01 costs almost ¼ the price of Takara’s new Prime which is quite mind boggling consider how solid he is. It’s only the start of the year but I feel I already have a very strong contender for top toy of 2019 in my hands. It should be interesting to see what the rest of the year holds.